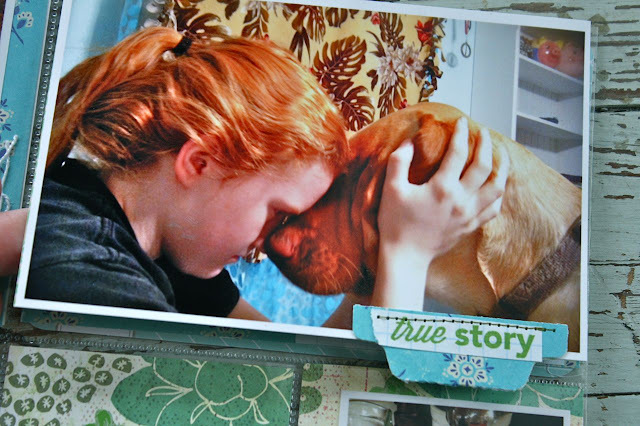 Hey everyone, today I'm sharing a post over at the October Afternoon blog. I'm creating some cute "business cards" using the Shorthand paper from the 9 to 5 collection. 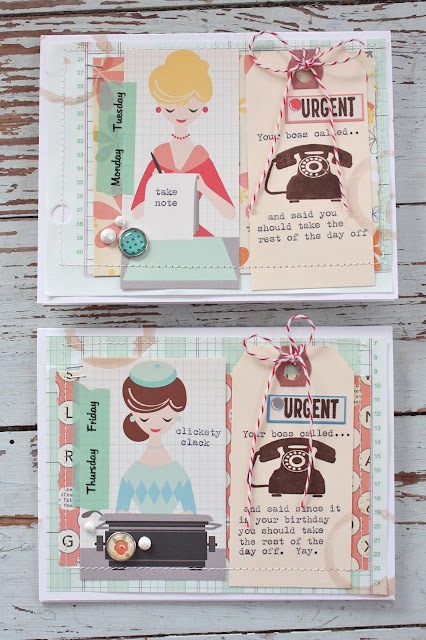 I cut apart the fun office girl images and used them separately to create some whimsical cards for my mother-in-law. Lots of fun elements from the 9 to 5 collection. You can read more at the OA blog. My vintage typewriter was put to good use on these stamped Medium Manila Tags. 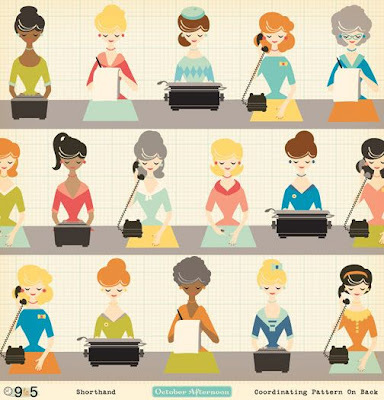 The fun rotary phone image is also from the 9 to 5 collection. A fun couple of cards in total office supply style. If you're visiting from the October Afternoon blog, here's how I created the small coffee stains you see on my cards (check out the corners on the cards below). 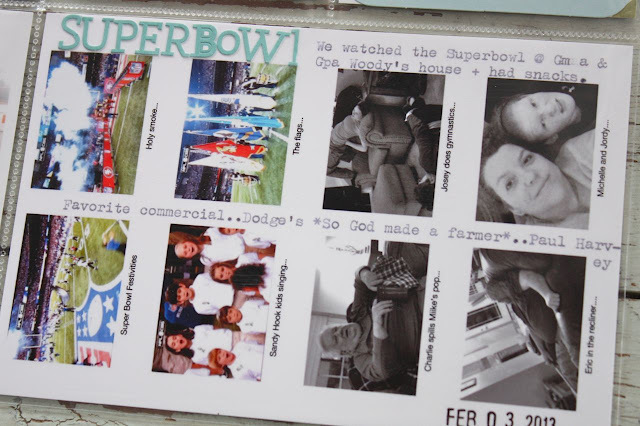 I sprayed the Buttermilk Sprinkler onto a craft mat then used a glitter container to stamp the image. Just tap the container into the puddle of Sprinklers and then stamp on the cards. If you want a life size coffee stain simply use a real coffee mug. Hey everyone. I've had a few comments about what Project Life is and how I go about doing it. I'll take some photos of an upcoming weekly spread to show you my process and describe a bit about Project Life to the new folks. I'll also take some photos of my Project Life organization + a few ideas about organizing kit items. Today I have Week 5 of my Project Life 2013 to show you. Here's the 2 page spread. It's a very random week with just a lot of daily photos. I ended up using a lot of the Project Life Seafoam core kit for this week. It made the process go very quickly. 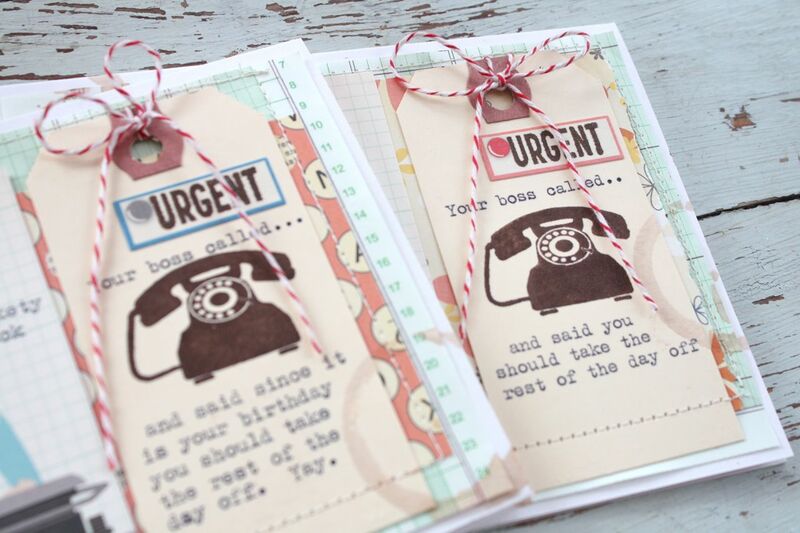 Just a handful of other embellishments like tags, Washi tape and chipboard letters. Here is my Calendar Card which has the week #, a few notes about the week and the dates that the week covers. 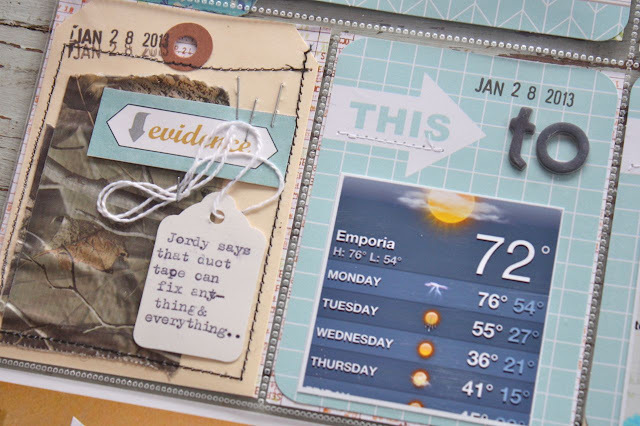 Round tag is from Evalicious along with a few of her stamps. 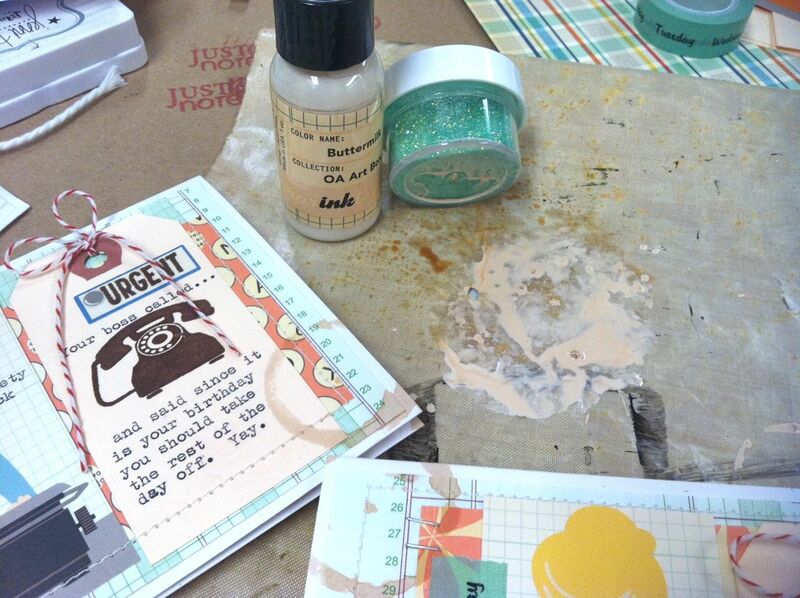 I also used the Studio Calico Project Life stamp, covering up a portion with the chipboard #5. 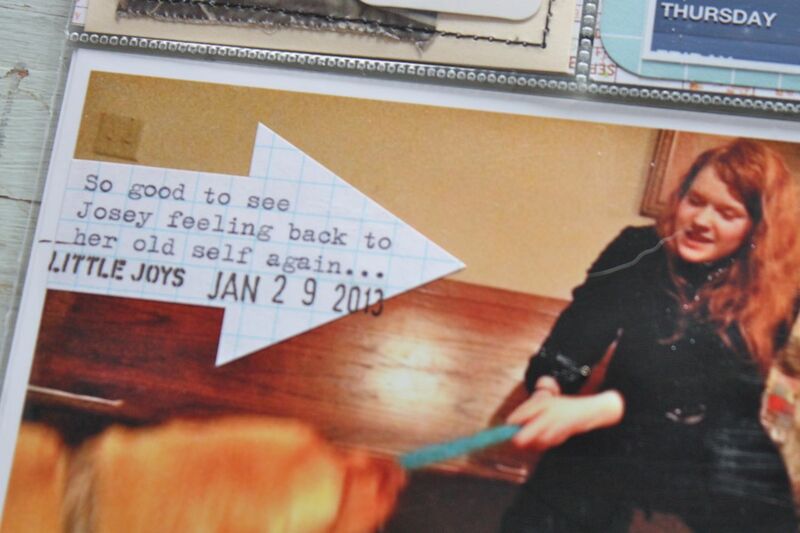 On this photo I used a Grid Paper Arrow Label that I ran through my typewriter. 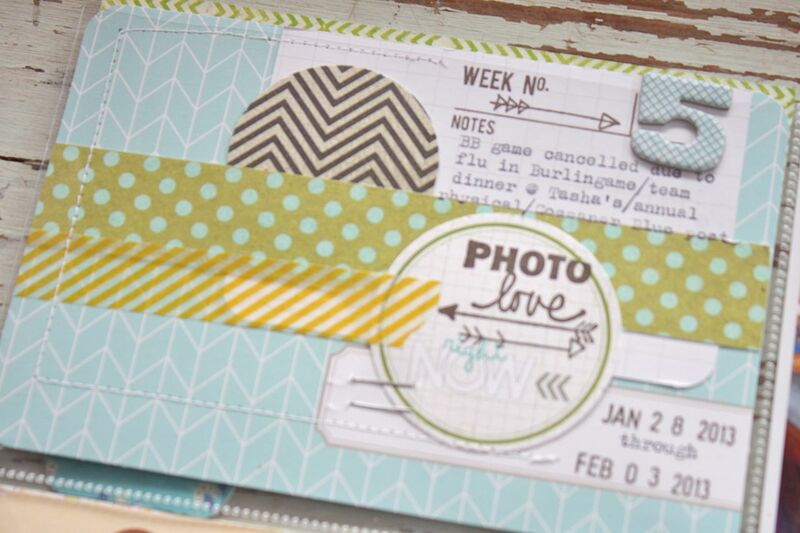 I love that I can add these labels and they don't create any bulk to my pages. 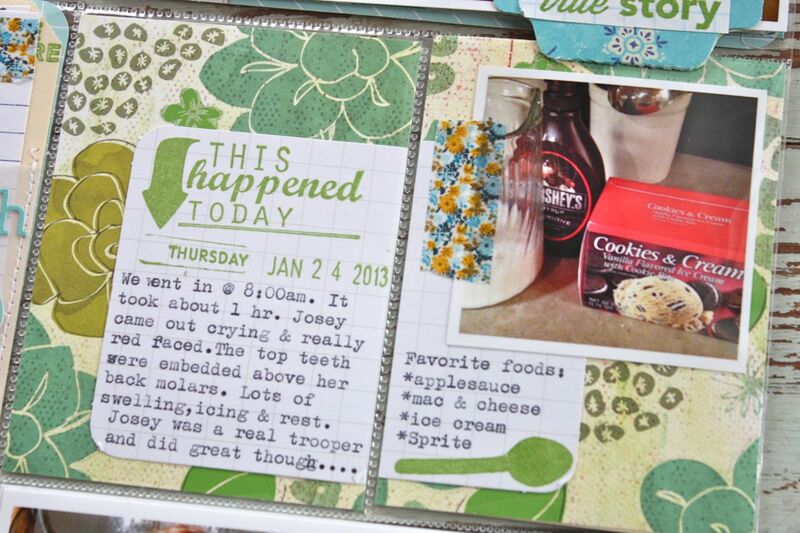 Here I used a Seafoam 4 x 6 card with a portion of a notecard on the bottom for journaling. Stamps are from Studio Calico Project Life kit. Another Seafoam 4 x 6 card with 2 Instagram photos. I used Washi tape for a quick embellishment. I created this collage in my iPhoto program. Nothing too fancy but it was an easy way to get 8 photos on a 4 x 6 insert. On to the 3 x 4 inserts. On the left I have one of my Wild Cards. This card replaced my Week in Review cards this year. Basically, anything goes....artwork, a random photo, a quote...or duct tape. I used a Medium White Tag for the typewriter journaling. 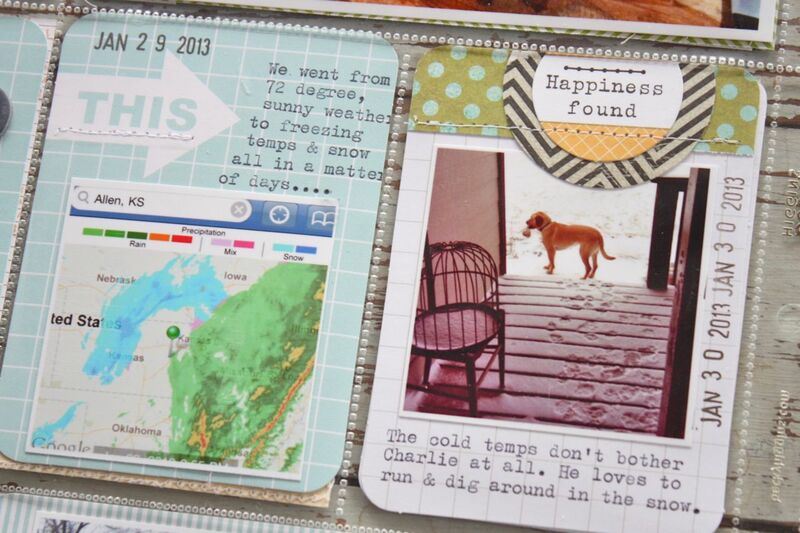 For the card on the right, it coordinates with the next card in the photo below this one..see the main photo for the big picture.....basically I used 2 of the same journaling cards from the Seafoam kit to make a "this to this" mini layout, depicting our crazy change of weather. On the right I created my own journaling card using patterned paper, a punched circle of patterned paper and an Elle's Studio tag. 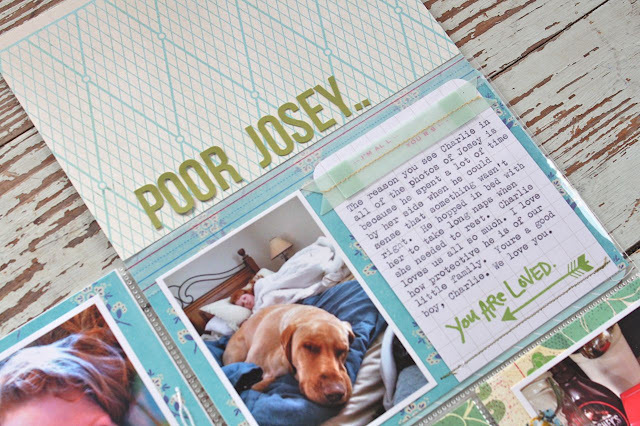 The right card below is a Seafoam journaling card with chipboard lettering. On the right I used a Small Manila Parcel Tag on an altered Elle's Studio card. More photos of Charlie. He keeps us so entertained. And that's a wrap for this week. Thanks for stopping by. 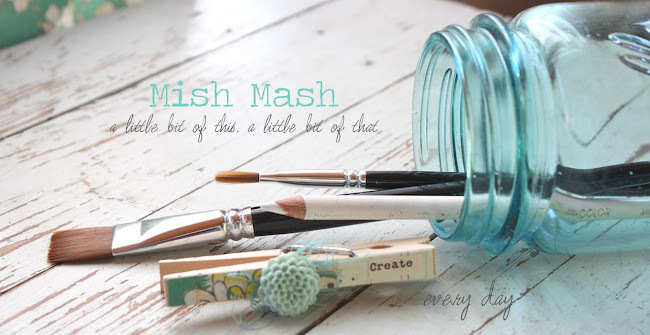 :) Stay tuned for the Gossamer Blue March release on March 1st. 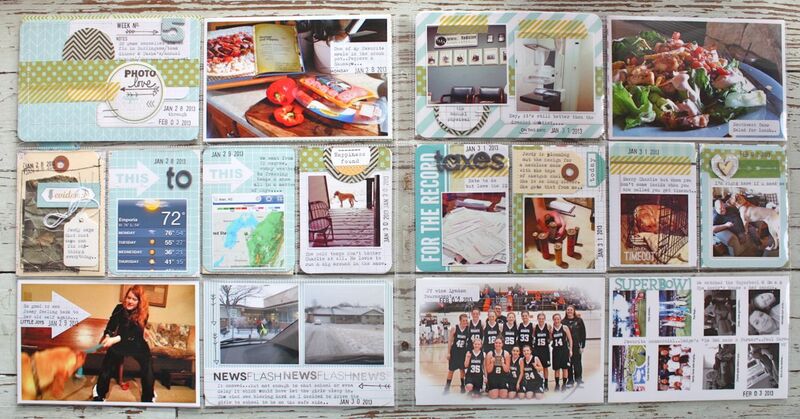 I've got a lot of projects to show you this month....you card lovers will be happy. 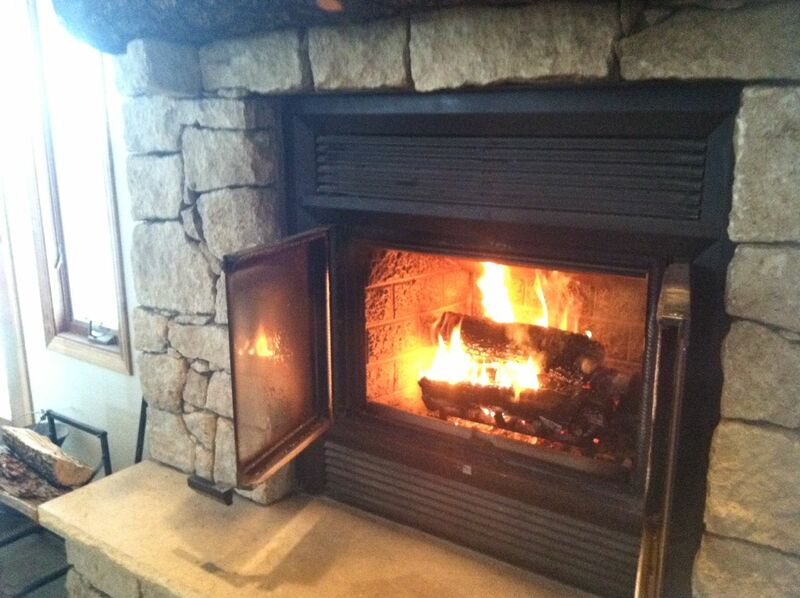 :) Stay safe and warm this weekend...looks like more snow starting Sunday. 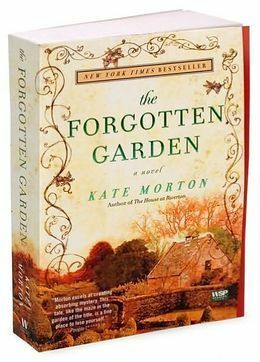 My good friend Nichole gifted me with The Forgotten Garden some time ago. 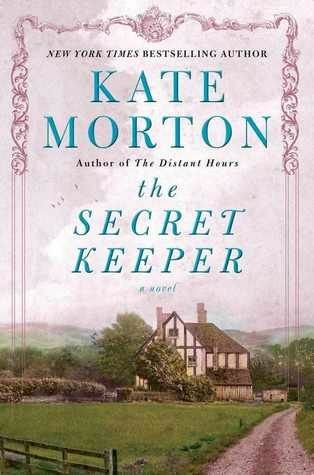 I just now finished it and it was so good. 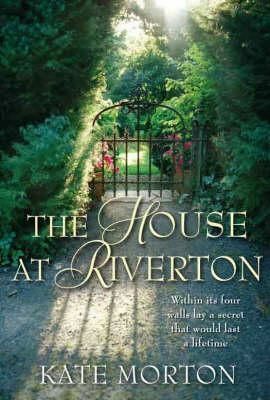 I love historical fiction, especially when there is a cross over between the present day and the past. My problem is, once I get into a good book I am good for nothing else. I have to keep on reading. The Distant Hours by Kate Morton. 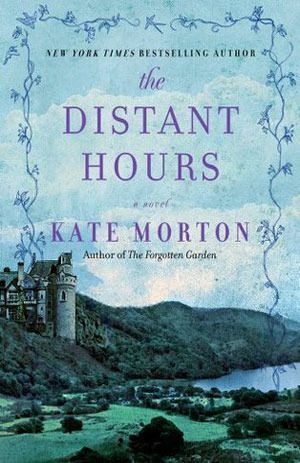 Are you into historical fiction? 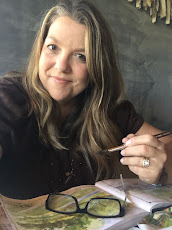 I'd love for you to let me know your favorite books and authors, just leave me a comment or shoot me an email. Perhaps I can create a post with some favorites. Also, do you like to just check out books or do you like to purchase your own? I'd love to purchase the books so that I can read at my own pace but the thought of creating the space for a small library adds thoughts of hoarding to my already cluttery piles. These Mio water enhancers have helped me with more water consumption. It's a flavor boost in the form of a liquid that you just squirt into your glass of water. I've also tried the Walmart brand and Crystal Light has some flavors too. Some of our favorite flavors are Strawberry Watermelon, Blueberry and Pineapple Coconut. The girls keep a bottle in their locker so they can freshen up their water bottles during the day. I try to keep them from drinking at the water fountains at all possible measures, especially during the flu season. 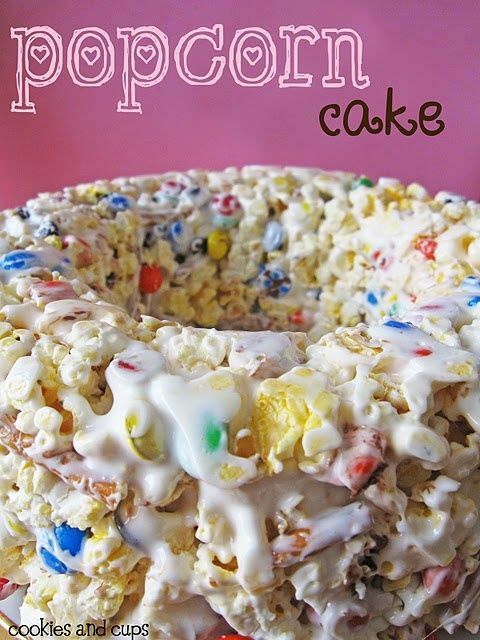 This Popcorn Cake was a bit hit at the bake sale that Jordan's softball team sponsored at the last basketball game. I added sprinkles to the top and we offered it up as a raffle item for $1 a ticket. A very unique food item that got a lot of looks. I've some more interest in my crock pot recipes and freezer meals. I don't post every recipe I've tried but I do have a ton of pins on my Crock Pot Recipes Pinterest board. I'm trying to find more recipes that don't use so many "cream of" soups. I think this from scratch Creamy Mushroom Soup sounds so hearty and rustic. Maybe not any more healthy because of the cream but I love the thought of making it from scratch. Regarding the freezer meals, I haven't done this as much as I'd like because my little cooking partner has decided she doesn't really have a need for so many meals on hand. Her husband is out of town a lot for work so she doesn't want the meals to sit in her freezer for too long. It was more fun when I had a cooking partner so the plan kind of dwindled. But I do miss having those meals in the freezer and need to plan another cooking day. I have pinned a lot of recipes and blog posts about freezer meals on my Freezer Meals Pinterest board. There's some great information there. I've also found that crock pot cooking is really pretty quick to assemble. I keep many of the same meal ingredients that I would use for a freezer meal on hand and it all comes together quickly. I'm definitely still loving my crock pot though and use it probably 2 or more times a week. My mom doesn't cook much anymore so I've been adding in an extra can of beans or more meat and then will take my folks enough leftovers for a meal. They love it and look forward to what I create next. My girls love to have breakfast type items in the freezer. Breakfast burritos are a favorite. I think these Breakfast Pockets sound pretty good too. I may have to try them out soon. So do you have some good crock pot recipes or freezer meals? 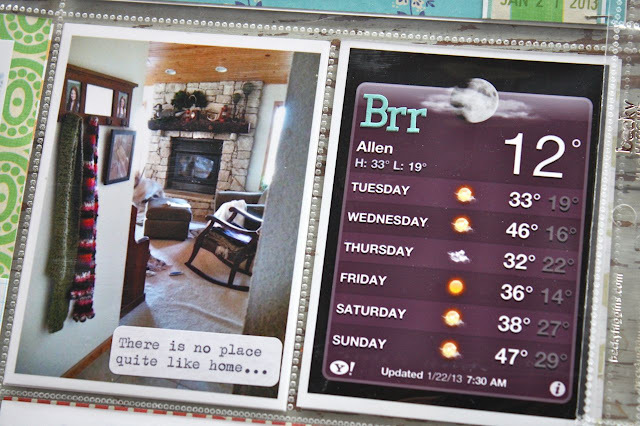 I would love your links so that I can add them to my Pinterest boards. Okay, I'm outta here for now. 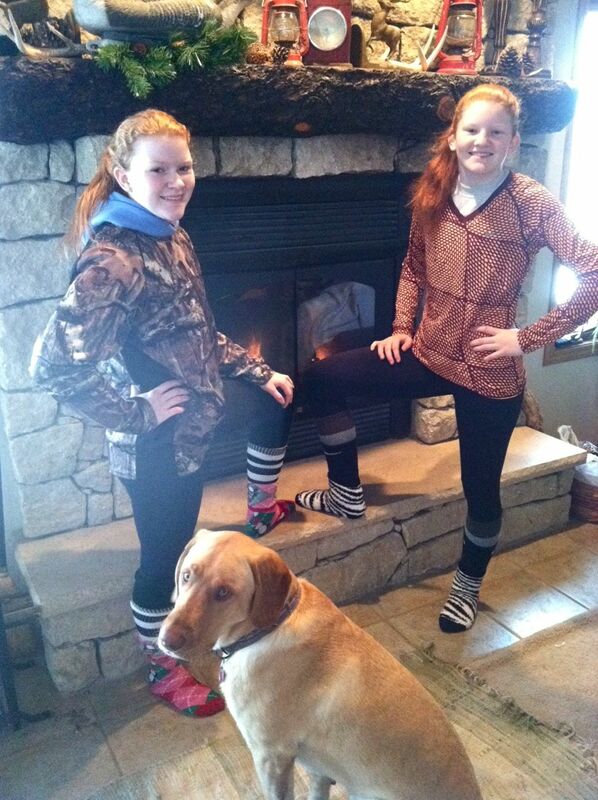 The girls have another snow day. At 13 degrees, I don't think they'll be out in the snow today so it could get interesting around here. They love the days off but the boredom sets in pretty easily. Me, I'm never ever bored. I'm thinking about rearranging my craft room so I can sit with my sketch pad for quite a while and dream about finding the perfect vintage storage piece. I must start purging more items. Hey there. 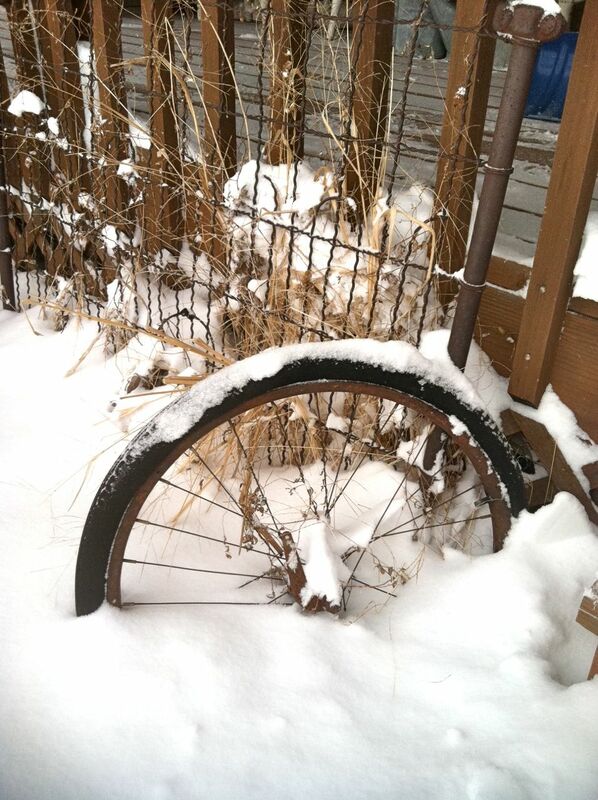 Today we're enjoying a snow day. And what a snow day it is! School was cancelled for today (and probably tomorrow) before the snow even arrived. 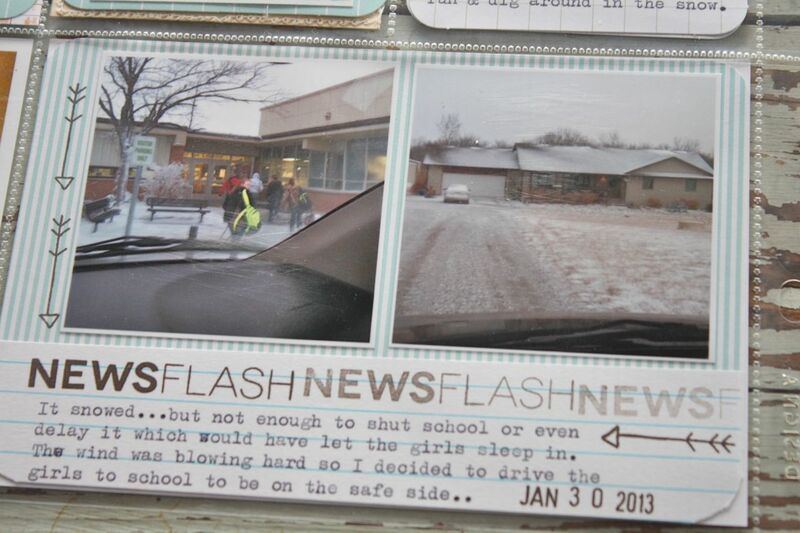 For our area of Kansas 8-12" of snow was predicted. I think so far we have gotten around 9-10", definitely the most we've had in our neck of the woods for years. Yesterday was a day of preparation. I headed to town early to stock up on groceries. It was just starting to get crowded as I was leaving the grocery store. I filled up with gas, grabbed a McDonald's Diet Coke and headed for home. I prepared a few crock pot soups just in case the electricity went out and we had to heat something up over the fire. As I was bringing loads of wood up to the rack on our back deck, I noticed that the birds were stocking up too. 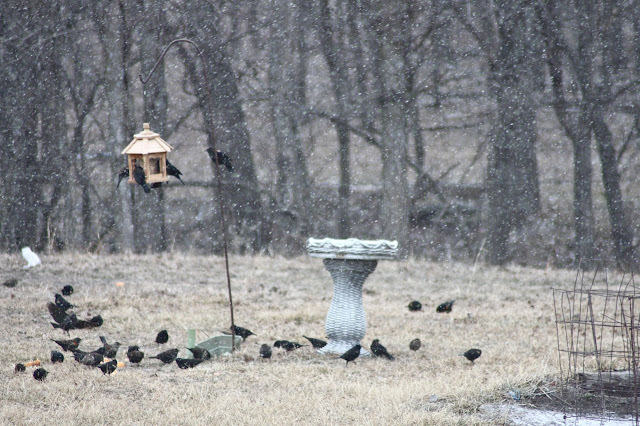 I probably had 100's of birds in my back yard, filling up on the full bird feeders. They were chattering and scattering about like no other. I always worry about Eric heading off to work about an hour away. He left way early this morning before the storm hit. About 7am, we were getting a couple inches of snow already. And it kept on snowing. Jordan measured 8.5" and I'm sure we have a few more on top of that already. It's tapering off now. I have no idea how the hubster will make it home tonight. Our road drifts really bad so my dad usually takes the tractor and clears a path for Eric to drive through. 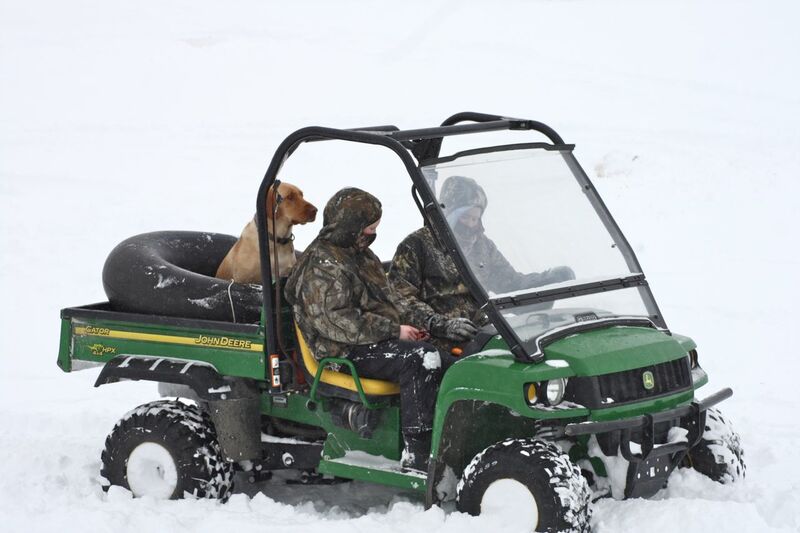 But Dad got the tractor stuck this morning. Uh oh. The reds piled on their winter layers, complete with 6 pairs of socks. Charlie knows something is going on and not venturing too far away from the girls. And out they go. They attempt to shovel the driveway but it's drifted about a foot high. Forget it girls, go have fun. 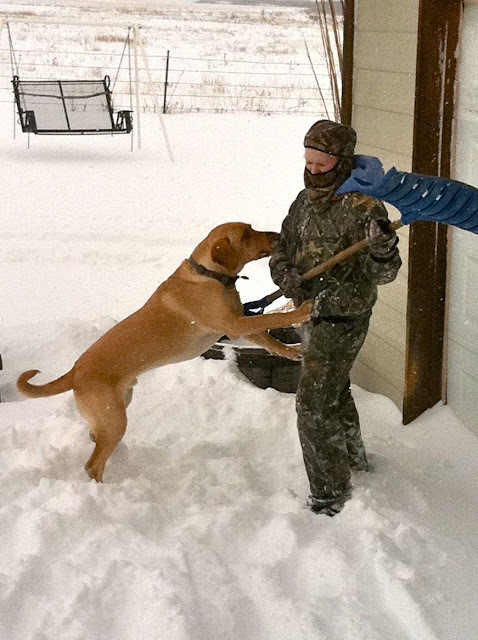 Besides, Charlie loves the shovel and you don't get too far without him trying to steal a new toy. 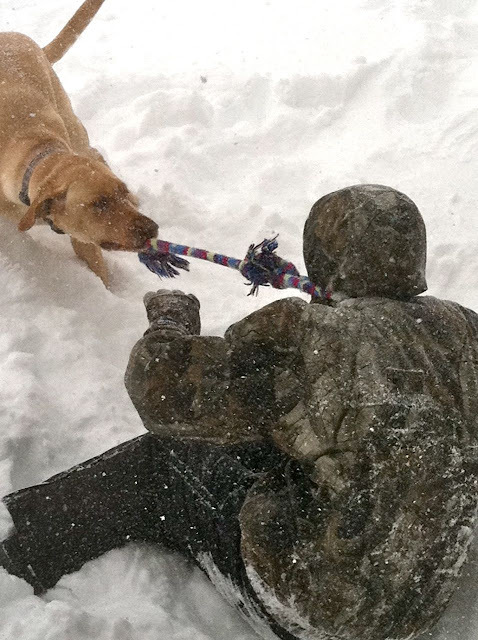 Then he spied Jordan's scarf, another favorite winter toy. Tug of war, Jordan? They hopped in the buggy and off they went. Slowly, trying not to get stuck. Their sledding rope kept breaking so they threw the tube in the back. Look who jumped in. Charlie got to go tubing!!! I snapped a few photos while out clearing off the back deck so I could haul in some wood. Such a pretty snow. 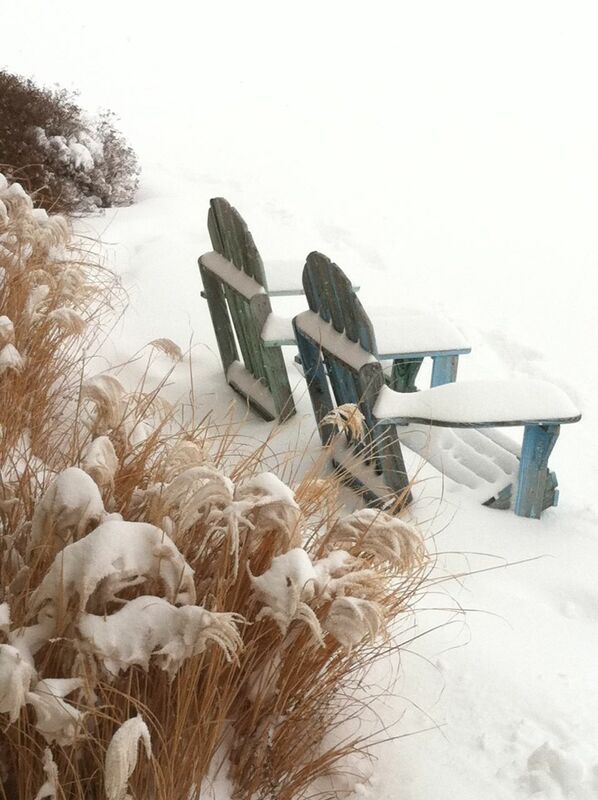 Sorry Adirondack chairs but you'll have to wait for a thawing out before I come visit you. A winter white blanket of much needed moisture. We'll take it. Now for some shopping. I've been filling my cart at 2Peas, just waiting for a few more collections to arrive. And they're here. And I shopped! 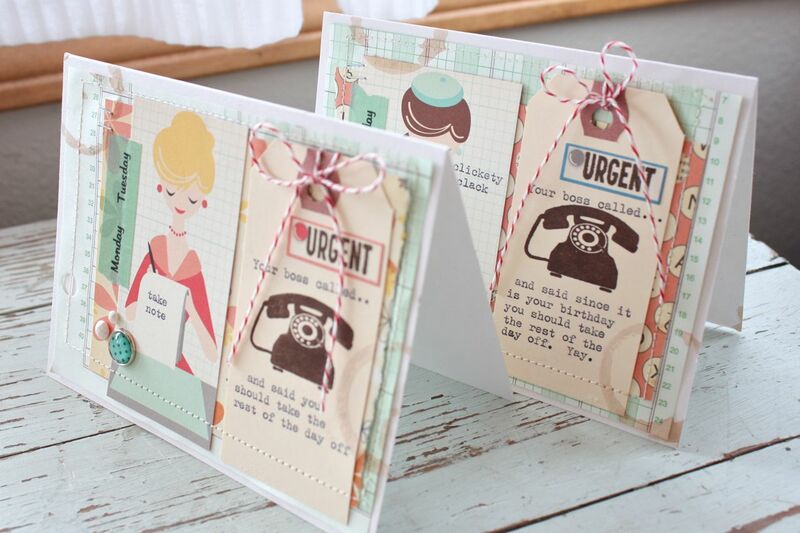 First up is this wonderful new collection by Maggie Holmes for Crate Paper. I love the soft colors and all of the florals. I can't wait to use this on cards and Project Life...and I might just be tempted to do a few traditional layouts with this as well. 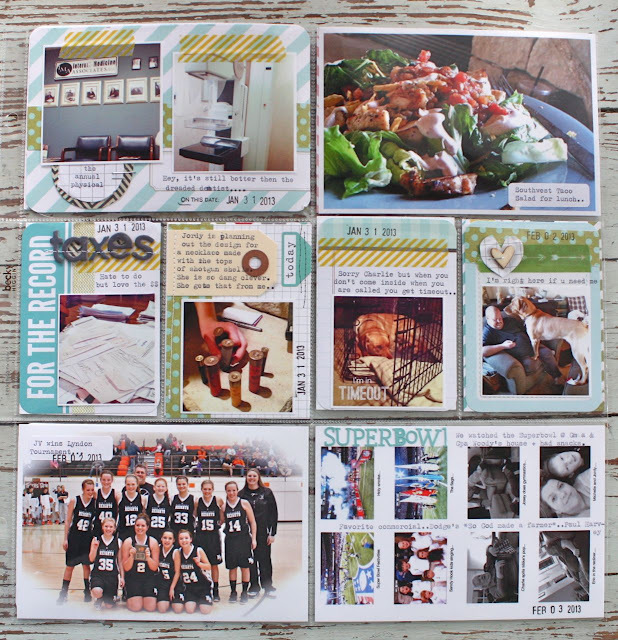 I also scored some fun items from the DIY Shop line from Crate Paper. 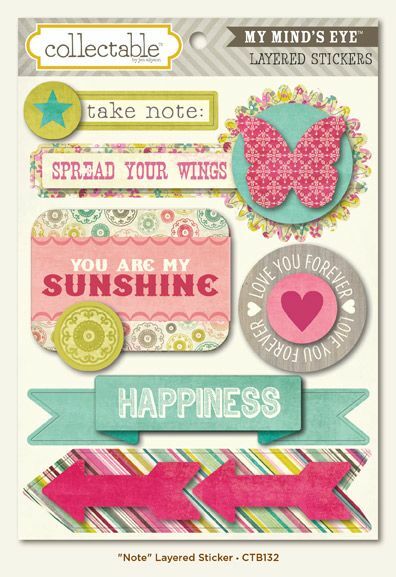 A few items from Dear Lizzy's line from American Crafts also made their way into my shopping cart. 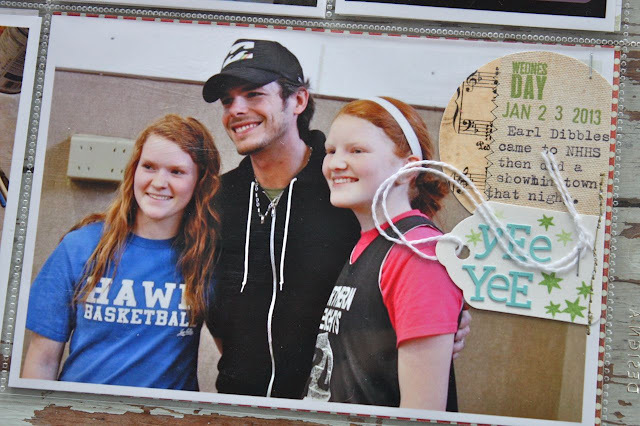 The Collectable Memorable line from Making Memories was also a favorite. 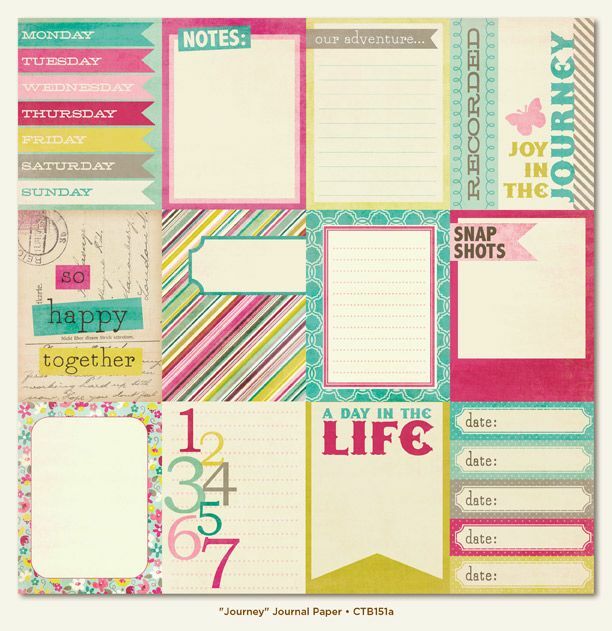 I love this 12 x 12 sheet of journaling cards for Project Life. 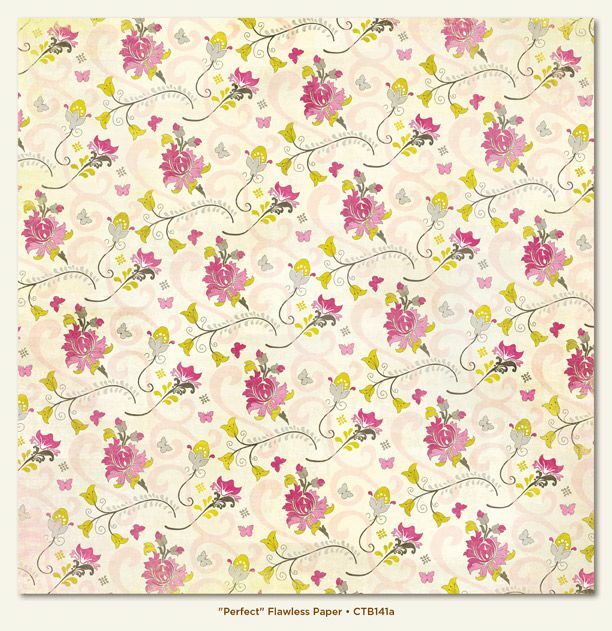 This pretty floral patterned paper was a favorite too from this collection. These stickers will be the perfect accents for some cards and Project Life inserts. And I just had to have this stamp set. 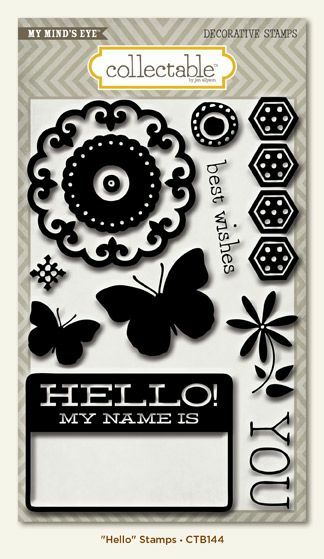 The name badge, butterflies, the "you" and that fun daisy flower are just too cute. Off to warm up my girls. I think I'll stoke the fire, grab a cuppa and head to my work room after lunch. I'm betting my husband wishes he would have listened when I told him to pack clean underwear today.....just in case. We'll see if he makes it home tonight. :) Thanks for stopping by today! 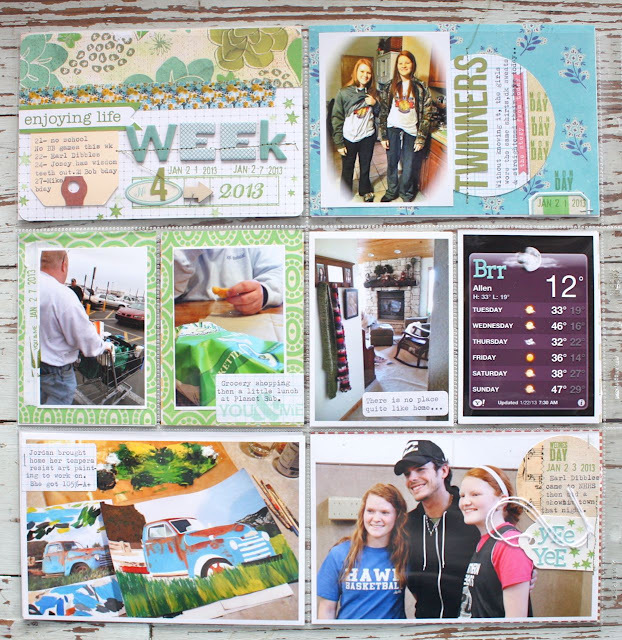 Today I'm sharing Week 4 of my Project Life 2013. I'm keeping in mind that I'd like to keep my Project Life to 2 albums this year. This week Josey got her wisdom teeth out so it was quite the big deal at our house. 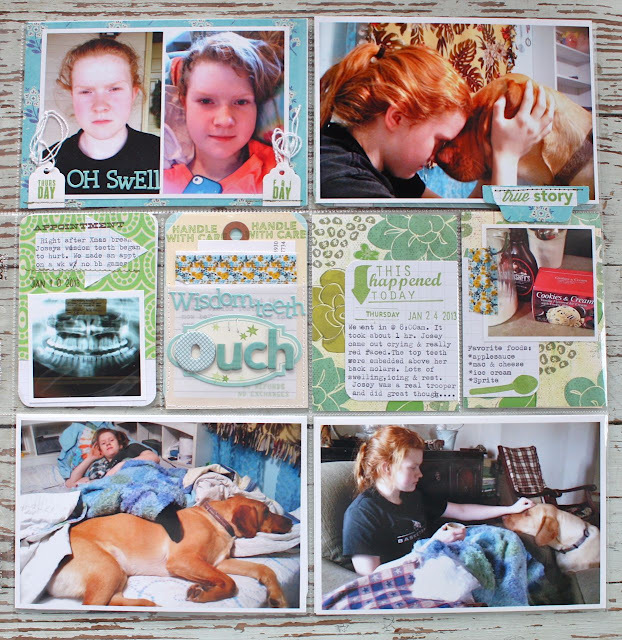 Instead of creating a separate insert for this week I committed the full right spread of my weekly spread to Josey's wisdom teeth and the left page is for weekly happenings. Once again I treated the entire 2 page spread like a traditional scrapbook layout. 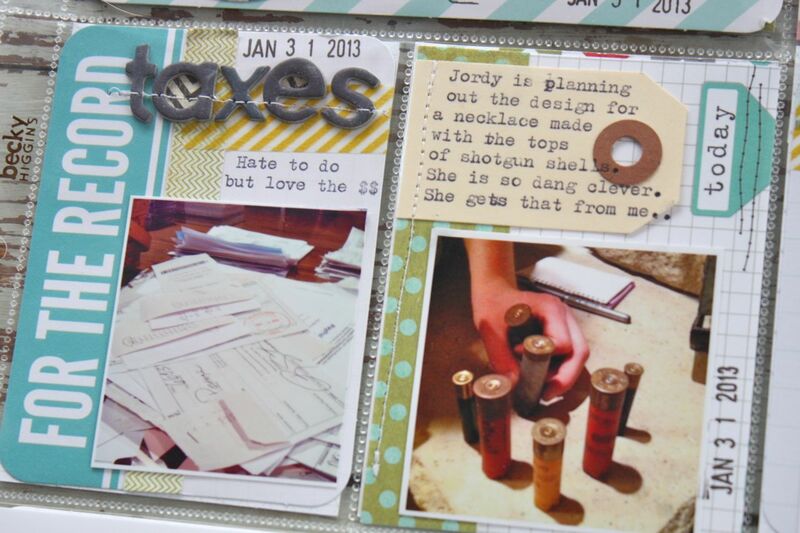 I coordinated my papers and embellishments so that the two pages blended together nicely. This is the left page with the weekly happenings. This is the right page, all about Josey getting out her wisdom teeth. I was able to include 8 photos on this side....so much more than I would if I did a traditional layout. That's what I LOVE about Project Life. 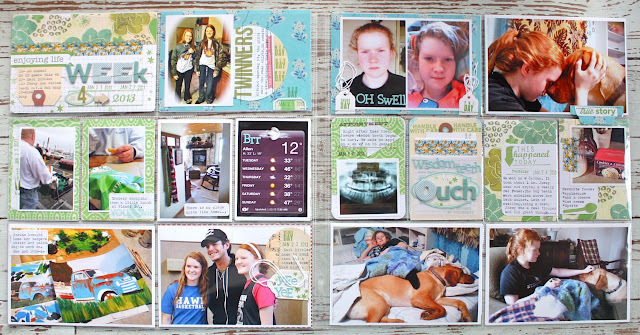 I'm capturing the photos, telling the stories, getting scrappy with it....but it's so much easier using the divided page protectors. Still a huge fan! My Calendar Card which replaces the weekly dated card & separate week in review card. This is a favorite part of my Project Life right now. I take a little extra time to fancy up this 4 x 6 insert a big. 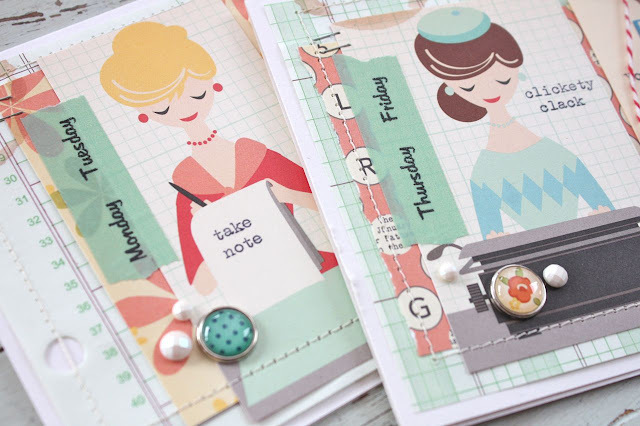 I always make sure to get the week, the dates that week incurs and a recap of any special events. 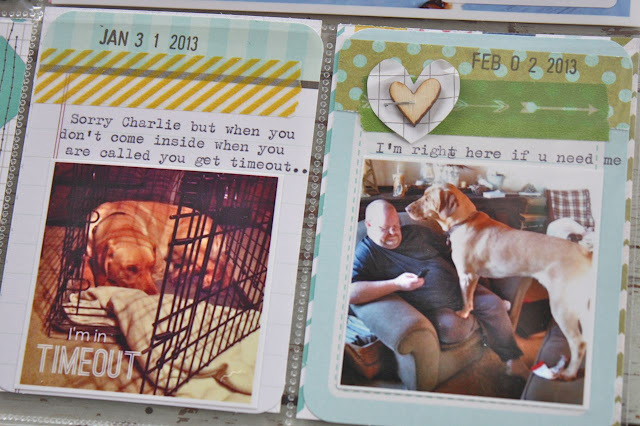 My Calendar Card kind of sets the tone for the rest of my inserts. On to the 4 x 6 inserts. I used a large circle tag from Elle's Studio for my title of Twinners and the typewriter journaling. 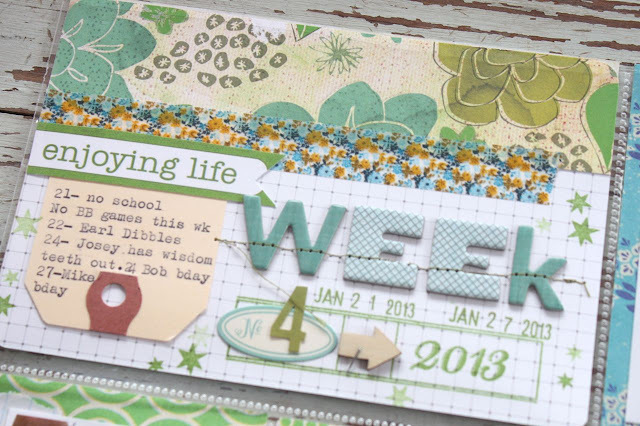 Monday stamp is from Studio Calico's Project Life kit. A special day for the high school kids. The comedian/song writer Earl Dibbles came to perform at our school for the kids selling the most tickets to a second show that evening. 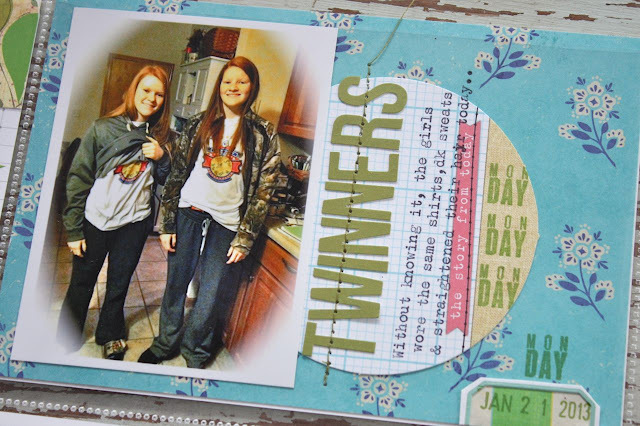 I used another Elle's Studio circle journaling tag + a Medium White Tag. Oh poor Josey. 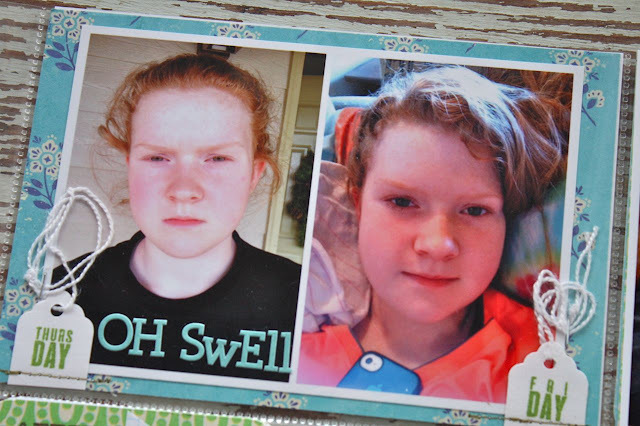 I used 2 Small White Tags with Studio Calico stamps to capture Josey's swelling. Charlie to the rescue. He stayed by Josey's side the entire week. He could sense she was sick and needed some extra protection. I created a flipper photo to reveal more photos and journaling, see below. I needed just a big more space so rather than add an extra insert, I've been creating these flipper photos with Washi tape. 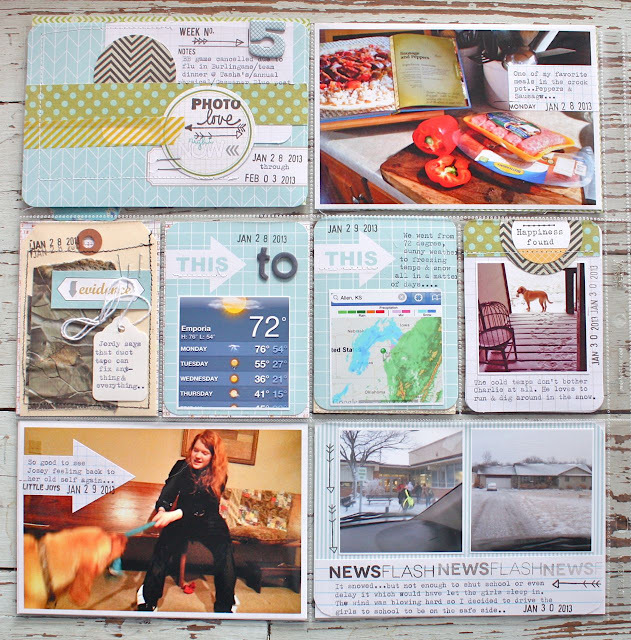 I used a Becky Higgins Project Life grid journaling card with typewriter journaling. Here I used two 3 x 4 slots to create a mini layout of a typical shopping day. 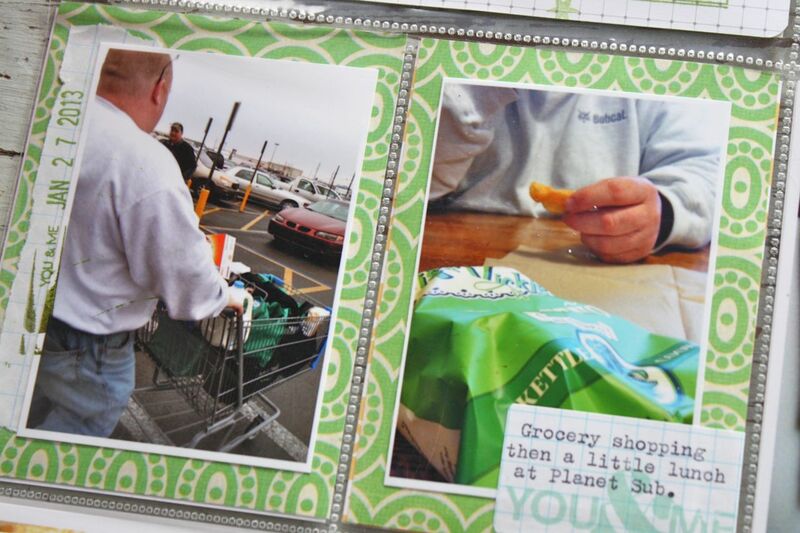 It's kind of pathetic to admit that grocery shopping and lunch afterwards was like a date for me and my husband. We need to get out more without the girls. I used a Grid Paper Label for the typewriter journaling and stamped image. A typical shot of the living room and a screen shot of the temperature with some stickers added. Here I used one of my new Grid Paper Arrow Labels for journaling + a vellum pocket tag that I recently had in the shop. 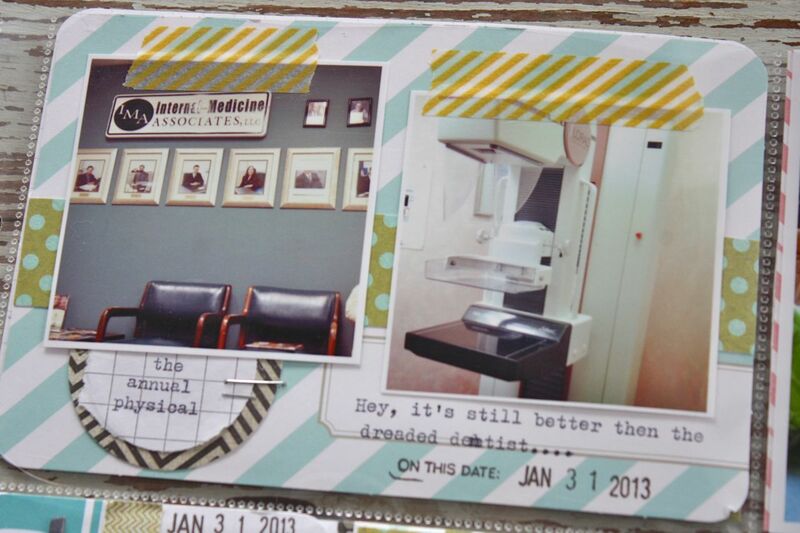 The XL Manila Parcel Tags trim down perfectly to fit into a 3 x 4 slot. I used simply index cards to type some more journaling + I slipped a business card into the pocket. $800 bucks out of pocket expense for 4 wisdom teeth....Josey wasn't the only one hurtin', my checkbook was crying too. 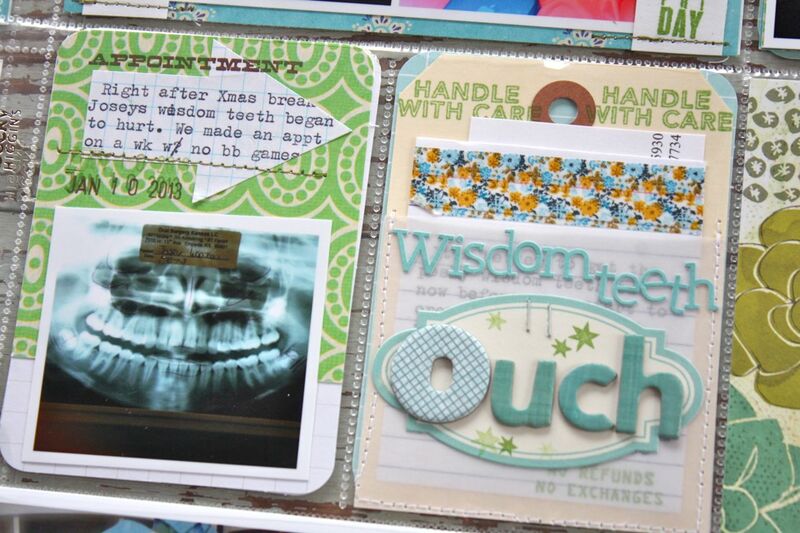 Here's another little mini layout I created by stretching my typed journaling card over two 3 x 4 cards. I used the same patterned paper to tie the 2 inserts together. 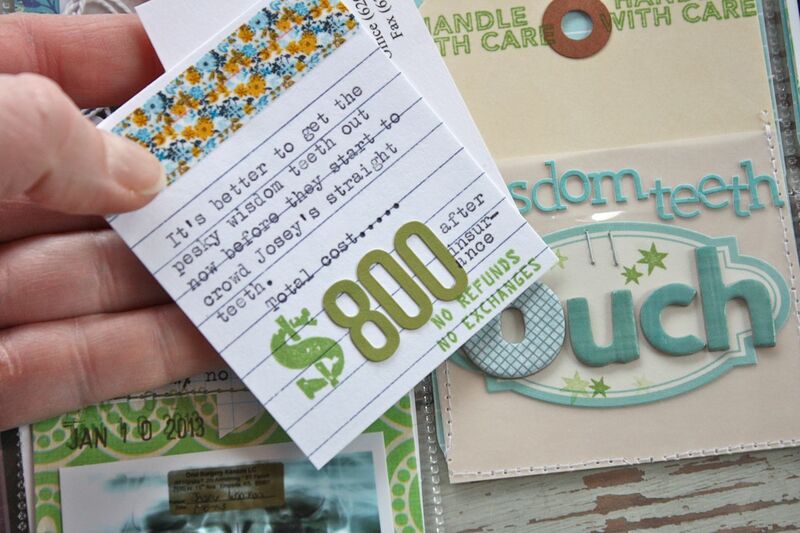 Stamps are from Evalicious and Kelly Purkey. So let's hear it Project Lifers.....how are you doing so far in 2013? I'm caught up all on the weeks but I have some sports inserts to add + a few others. I still have about 10 inserts to catch up on for 2012. I need to just do it and get it done with. I'm thinking simple, divided page protectors will be the way to go.